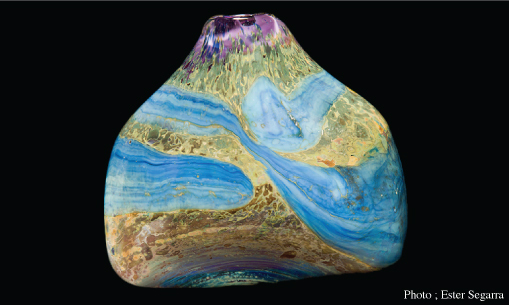 Sam Herman is a contemporary glass artist, sculptor and painter who is credited as one of the founders of the Studio Glass movement in Britain. His work is in collections all over the world including RAMM Exeter, the Victoria and Albert Museum and The Corning Museum of Glass, New York. Sam has studios in Spain, London and nearby Cirencester. Graham Cooley is a local collector who has an extensive collection of painting, ceramics and glass including many works by Sam.